Baghdad (Agenzia Fides) - While September 25th approaches, date of the referendum announced by the government of the autonomous Region of Iraqi Kurdistan to sanction its independence from Baghdad, there are contrasting signs from the local Christian communities with reference to the referendum, which attracts the attention and also the concern of international observers. In recent days, a gathering of 1500 people in Ankawa, the suburb of Erbil, inhabited largely by Christians, was presented by local media as a sign of the support offered by local Christians to the Kurdish Independent referendum. At the meeting, held at the hall of the Babylon Foundation, representatives of political parties and social organizations took part, and the speakers' interventions exalted the contribution that Christians could bring to the construction of the new independent Kurdistan. A similar pro-referendum demonstration was organized in the Christian village of Tesqopa, about 30 kilometers from Mosul, with the intent of expressing support for the independence of Kurdistan by local Christian communities and minorities of the Yazidis and of the Shaback. In reality, it remains to be verified whether these demonstrations really represent the most widespread sentiment among Christians of that region, or whether they are rather the result of small group initiatives coordinated with the propaganda apparatus set up by the government of the autonomous Kurdistan Region for of the independent referendum. 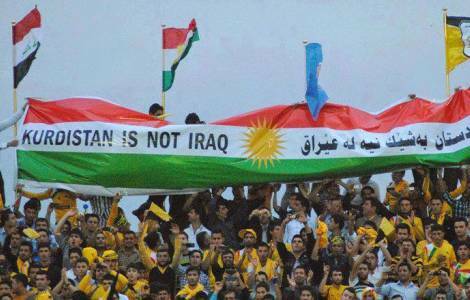 The city of Tesqopa, the theater of the recent pro-referendum demonstration, is firmly in the hands of Kurdish Peshmerga militias, who refer to the regional government of Erbil. Sources related to the Kurdistan Patriotic Union have reported that a contingent of 12,000 Kurdish Peshmerga soldiers is present in the Nineveh Plain region, officially to keep order and prevent unilateral initiatives on behalf of many militias in the area, including the so-called "Christian" ones such as the Babylonian Brigades, who in the recent past had expressed themselves against the independent referendum. The concentration of Peshmerga militias in adjacent areas in Mosul is one of the factors that contribute to confirming the voices of those who fear a possible decline of tensions between Kurdistan's regional government and the Iraqi government. Political leaders in Baghdad have also launched clear signs that they will not accept the creation of a Kurdish State in northern Iraq through a referendum unilaterally proclaimed by the regional government. On Tuesday, September 12, the parliament in Baghdad voted to officially declare the referendum of 25 September null and void. Turkey and Iran have also made it known that referendum consultations will really take place, and the effects could be serious and destabilizing throughout the area.